James E. Perone, PhD, is Margaret Morgan Ramsey professor in music and associate dean of the faculty at the University of Mount Union, Alliance, OH. Perone, James. 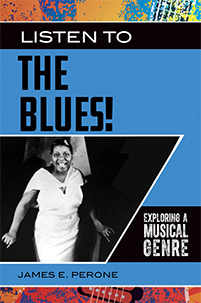 Listen to the Blues! Exploring a Musical Genre. Greenwood, 2019. ABC-CLIO, publisher.abc-clio.com/9781440866159.